It was fascinating to listen to the World Cup winning captain, Arjuna Ranatunga, talking about his cricketing days taking time off from his present role of minister/politician. Recently he appeared in the popular TV chat-show, ‘Sihinnayaki Re’ over Ruvavahini where the host selects ten songs and in between listening to them, discusses past and present happenings in his/her life. The presenter, Mahesh Nissanka, having completed over 150 sessions over three years, has the knack of getting the visitors to relate interesting episodes from their lives. 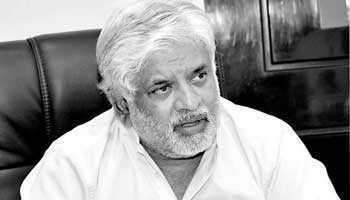 I take the liberty of addressing Minister Ranatunga as Arjuna, not only because we have known each other for a long time, but his role that evening was more of Arjuna, the cricketer. Though he spoke of many other matters, this column is restricted to what he said about cricket. Both of us come from the same village – Udugampola, a few kilometres away from Gampaha. Of course I am his father’s vintage. Arjuna started playing cricket from young days at Ananda College, where his mother taught. The discussion, however, centred round the time he played for the country. In the early days the cricketers had a hard life during their overseas tours. They had to travel long distances by bus whereas today they are flown. Arjuna recalled how they used to listen to cassettes (it was the pre-CD era) during the long trips covering five to eight hours. He spoke about how they missed rice and curry during those tours. “Whenever we met a Sinhalese family, we used to tell them we would like to eat rice. They always obliged and the next day we would get rice and curry packets. We used to freeze them and eat,” he said. Arjuna spoke of the ‘family feeling’ the players had in his time, rather than a team feeling. They knew each other well and shared their problems and other wants. If they were going for a meal with a Sri Lankan family, the whole group of 15 would go. Sometimes there wasn’t even room to sit. They somehow found space – sat on the floor and enjoyed the meal. He spoke of the close link he has always had with the Dalada Maligawa and how he made it a point to visit the Maligawa and worship the Tooth Relic before a tour. While being a Buddhist he respected all religions and valued each team member’s faith. There were instances when players made vows before matches – particularly before the World Cup tournament – and how he accompanied them to their places of worship. Muttiah Muralidaran always participated at the ‘pirith’ chanting before a tour and got a ‘pirith’ thread tied and drank ‘pirith’ water. Admitting that people got to know him because of cricket – he played in the national team for 20 years and was captain for 10 years – Arjuna said that his whole life revolved round cricket. His entry to politics and being elected to Parliament was because of cricket. He maintained a very close relationship with Aravinda de Silva who was his deputy and had no problems when it came to team matters. He related how when the players got into the bus and quickly started playing Sinhala songs, Aravinda who was always the last to get in would change it to English since he liked English songs. Others were quite unhappy. Arjuna found a solution. He bought a Walkman and gave it to Aravinda and the problem was solved. In his opinion, Aravinda and Roy Dias are the best batsmen that Sri Lanka has ever had. Asked about the umpire Ross Emerson issue over the Murali affair in Australia, Arjuna felt that though he used very harsh language on that occasion, looking back he feels he should not have been so nasty. Arjuna had studied the rules well before and he wanted to convey a message by his action. He said that he admired Imran Khan and Kapil Dev and learnt a lot from them. Imran, in particular, was not afraid of taking decisions. Both he and Kapil were responsible to bring up Asian cricket to the status that it enjoys today.